I don’t know what’s the English translation for the Tagalog word panlakad. Maybe there is no single English word for it. With my limited English know-how, the best translation I can give is that panlakad are social clothes and apparels worn for an occasion, an event or by simply being out of the house and in a public place. 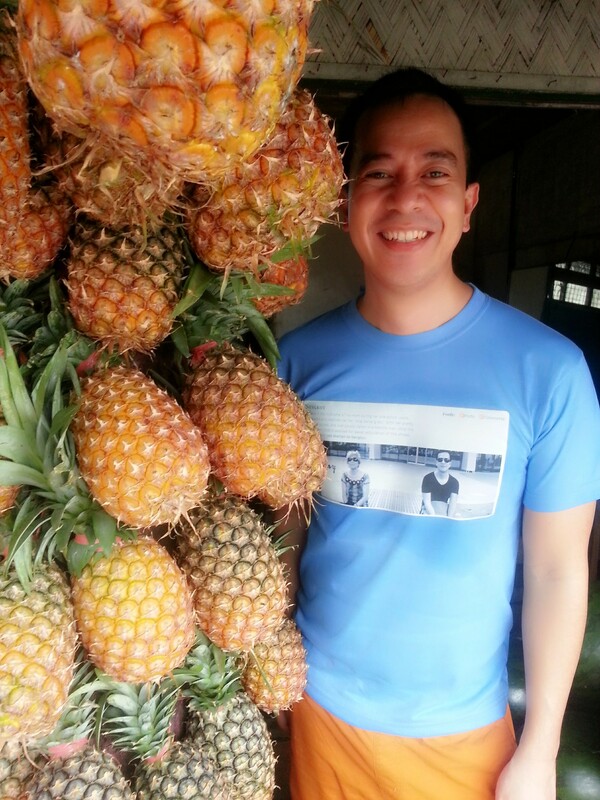 sporting my nengkoy shirt. di ko pa napang simba yan! Back in the days when table salts are not yet iodized, inhabitants in the Philippines would make sure that their newly sewn or purchased panlakad must first be worn to attend a Holy Sunday Mass. Although this rare custom and tradition has long been gone, I can still remember people’s line of questioning to folks they saw sporting new clothes. They would ask, “Pinang simba mo na ba ‘yan?” (“Have you worn those in a Mass?”) It’s as if wearing new clothes that has not initially been worn in a Sunday Mass celebration is such an abomination and is a wicked habit of the devil. The socio-anthropologist in me dictates that this not-so-ancient unorthodox yet dissipated belief may be a progeny of Filipino’s robust Catholic faith that owning and wearing new clothing is a gift from heaven, thus, it would be most appropriate to first wear it inside the house of God. Or this belief has been generated from Filipino’s long running tradition that they should wear new clothes during Christmas Day and it is a must to go hear a Holy Mass during this Holy day. I don’t know if I should be thankful or resentful that this tradition is no longer observed. Thankful because with the volume of clothes I own, I cannot imagine how many times in a year would I be required to attend the Holy Mass. Resentful because this tradition could have at least given me another reason to attend and hear the Holy Mass. ‘Yang suot mo ngayon, Pinang Simba Mo Na Ba Yan?